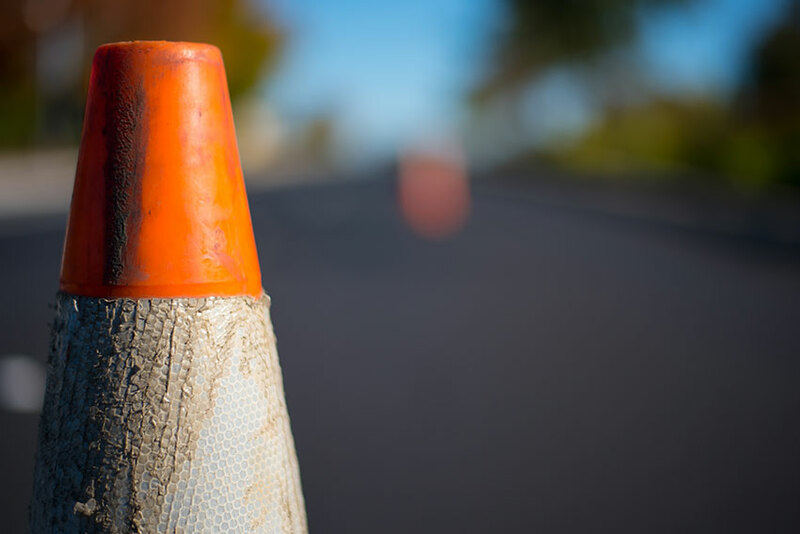 Are Damages from Road Hazards Covered By My Auto Insurance? 1 Are Damages from Road Hazards Covered By My Auto Insurance? To own and drive a car is not just a privilege, however, you also have a responsibility to be a safe driver at all times. Right from your driving lesson days, you have been told to drive defensively. Your road test also confirms that you are capable of driving in a defensive mode and never at an aggressive pace. While you are on the road, there could be chances of various kinds of hazards that may come out of nowhere. Most of us have faced this situation more than once. If you decide to claim for the damages, it may depend on the type of hazard and your level of coverage. Other factors could include the cause of the hazard and the extent of the damage. You may claim under your collision or comprehensive coverage as per the situation and each may have a different outcome. In car insurance terms, a road hazard refers to anything on or in the surface of the road that could prove hazardous to you when you drive, to cause an accident. It could be a tree branch, nail, pothole, oil, debris, animal crossing or any other object that you may collide with or that may hit you. Road hazards come in all shapes and situations and here is a list of some common hazards. When the ‘object’ is in motion as it collides with your car then it is a flying object, not that it has wings. It could be a piece of rock or debris that came under the wheel of the car in front of you. You may claim for this kind of damage under your comprehensive coverage and you also need to pay the relevant deductible. When there are random objects that come in your way while you are speeding on the highway, it could be dangerous. You may try to swerve your car and land in an accident. If your car hits something on the road that seems to have no owner you may not blame anyone but pocket the expenses if you don’t have enough coverage. 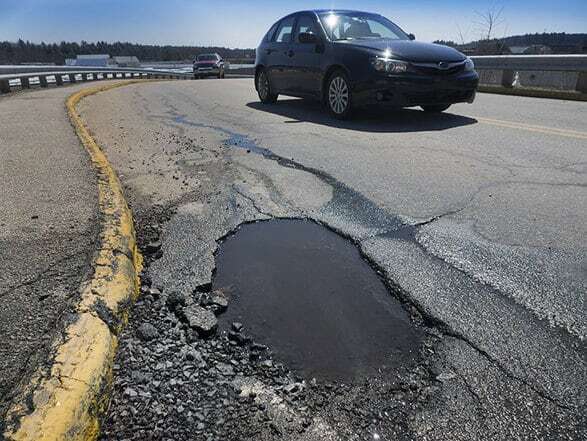 When there are changes in weather or temperature the roads may have many ugly potholes, big or small. These could damage your car or tire and cause you to lose control of your car. If you try to avoid a pothole abruptly then you may collide with another vehicle and that could cause a serious collision. There are guidelines for each city’s governance in Ontario to repair potholes within a specific timeframe. If you feel that the pothole is not repaired and the city has been negligent about it then you may sue the City. But you have to prove that the city did not meet the maintenance requirements of the pothole within the time frame and was negligent. Good luck with such a claim as it does not yield much success in most cases. Or, you may claim under your collision coverage and pay the deductible. A sharp object or nail may come under your car tires and cause it to blow. These are very dangerous especially when you are driving at a high speed or turning a steep curve. First of all, focus on how to control your car and slow down without panicking. Try to stop your car at a safe side of the road and check the tires. Usually, tires that are not maintained well may easily blow out. Water and wet snow on the road surface may cause your car to skid and if you are not careful then you may have an accident. Do not accelerate and don’t move your steering wheel much and keep going in the same direction without swerving. If you jerk and move the wheel much then you may lose control and the quality of your tires would also matter in such a situation. Drive with extra caution when the road conditions are not ideal. Fog, snow or heavy freezing rain may block your visibility while driving. In such a situation it is important to slow down and pull over safely. When you feel it is safe, you may drive again slowly and carefully till you reach your destination. If you rush and drive with absolutely no visibility it could be a big road hazard. A deer, goat, moose or raccoon, any animal that suddenly crosses the road is a hazard too as colliding with them could damage your car. When the animals are in groups then you may spot them easily on the road and there could also be animal crossing warning signs. But if a stray animal appears out of the woods without warning then you must slow down and let them cross. As per the type of road hazard, you may claim for damages under collision or comprehensive coverage. You may pay the deductible as per the type of coverage under which you may claim. If you hit or collide with something then that would come under collision coverage. When something other than collision damages your car then you may claim under comprehensive coverage. For example, if you lose control of your vehicle and hit a tree that would be a collision claim. But if a tree branch falls on your car then that would be a comprehensive claim. There are a few tips that you could use to tackle some common road hazards as below. Be mindful of the road surface while you drive as any debris lying on the road, even if it is a small one may be a hazard. Keep your car tires properly inflated and maintained to avoid a tire blowout. When your car starts to skid due to hydroplaning, step off the gas and don’t jerk your steering wheel much. Oversteering is a no-no when you are not able to control your car. Also, if your car is spinning after the skid then don’t brake abruptly. You may apply brakes when it is safe to do so. It is recommended to drive in the middle lane if you are driving on a multi-lane highway around wooded rural areas. This may reduce your chances of a collision with an animal crossing. Drive slowly in bad weather and poor visibility to avert a hazard.